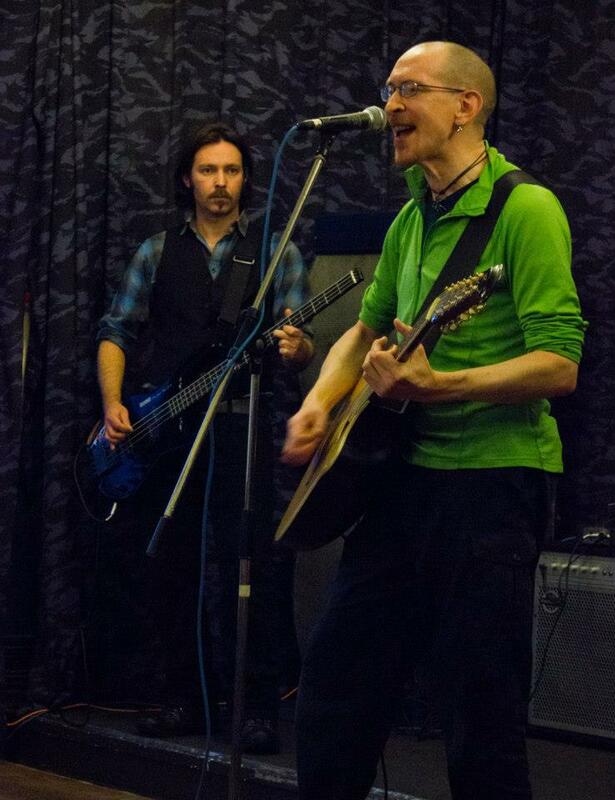 The Occupy gig went well enough, although only doing three songs (Toxic Shockwave, Cyclops & Wastemuchwantmore) made it difficult to get really into anything. However, although you'd think that a gobby, politically minded band such as us would fit right in, our talent for stepping on toes seems to have been to the fore, & to look at the event's Facebook page, you'd think we were never there. Perhaps introducing Cyclops as being "basically just an elaborate knob gag" didn't come across as righteous enough? The all-dayer at Lancaster's Park Hotel, a gig put on by ECP Promotions, was more of a proper gig, featuring 7 songs, including the first-ever outing of new track Axiom. It had been an odd day though, as Di O'Gnosis was busy right up until the last minute - she literally arrived, removed her coat & started drumming without so much as a drink. The daytime audience wasn't particularly wild (& the presence of kids affected our set list somewhat), although one lad did clap enthusiastically along. Unfortunately that was ECP's penultimate event. & our last gig of a surprisingly eventful 2012. The Setlist was: Power Down, Cyclops, Naked, Axiom, Politics No More, Wastemuchwantmore & 4 Chords. The new album, "The Apocalypse Needs You", should be finished in time for the Mayan (non-)Apocalypse. Which will be nice. NB: Although it was indeed, November, neither Dan nor MK were in any way participating in "Movember" - if anything, that was just a convenient cover story - & both still have facial hair well into December. Take that, popular meme culture.